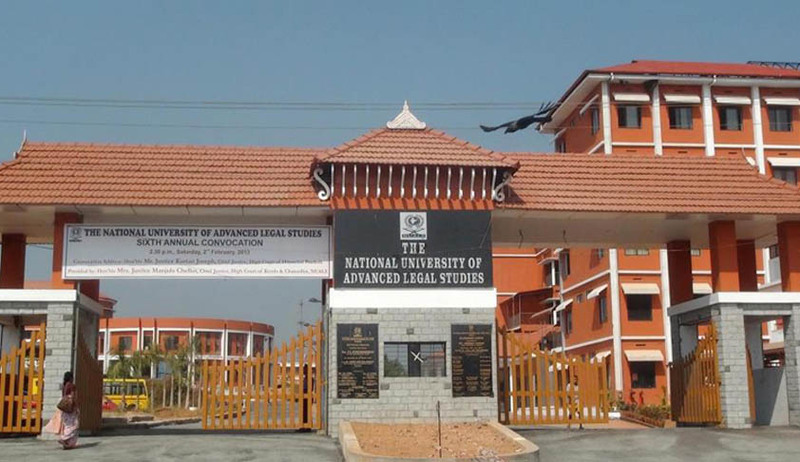 National University of Advanced Legal Studies, Kochi (Cochin), Kerala is organizing a three day Seminar on “Human Rights: International and National Perspectives” to focus on the widening frontiers of HR law and to equip those who are engaged in teaching HRs, lawyers and activists. Right to development as human rights and societal right - land acquisition, compensation and rehabilitation: new perspectives - dams, a boon or a bane? - development-induced displacement – are better facilities for oustees really better in a different habitat? – rehabilitation before commencement of development work, the unsolved problem – migration from rural to urban society – challenges of increasing urbanization - homelessness, slums, inadequate settlement and landlessness: a human rights dilemma - population explosion - public participation in decision making, how to realise it – towards good governance. Sustainable development - land use, abuse and non-use - wet lands, coastal area and forests - mining of minerals and sands - alternative energy sources - nuclear power and nuclearization. Gender Justice - Convention on Elimination of all forms of discrimination against women (CEDAW) - incorporation of the concept into the Indian legal system - treaty making powers -judicial contribution women’s commission - home makers and domestic workers - equal pay for equal work - lack of determining norms - work environment - legal recognition of dignity - the responsibility of the executive and the legislature in ensuring gender equity - judicial responses - non representation in decision making - policy on status of women in India - the ILO Conventions - the Kathmandu Declaration for the Rights of South Asian Home-based Workers (2010) - Unorganised Sector - universality of gender justice problems economic independence and patriarchy. Traditional fisherman and forest dwellers: the impact of law and regulation – the impact of mechanised fishing - legal framework for recognising HRs and for inclusive development - law to redesign the legal control - indigenous people, traditional knowledge and intellectual property. Scavengers – use of human waste as manure - the Bangalore model. Quest for development - urban environmental degradation and resource depletion - habitat change to generations: present and future - poverty, urbanization, habitat change and environmental degradation participation of a cross- section of society in development - equitable distribution and redistribution of benefits - state obligation and role - are we still a welfare state? - Socio-economic support structures. The papers must be in Times New Roman Font in A4 format, single line spacing, not exceeding 3000 words. An abstract of 150 words must be submitted along with the paper. All the submissions must be mailed at seminarnuals@gmail.com.